The Canon 24-70mm f2.8L is a legendarily good lens among Canon lens snobs. It's legendarily sharp, legendarily heavy and legendarily expensive. When my friend, Garry , bought his DSLR he did what many advocate, but few actually do; bought the best lens he could and spent less on the camera body. He walked-the-walk and bought the beautiful L series lens and the Rebel XT . With the 1.6x crop factor it makes a great portrait and standard lens. A year later, being a man of convictions, he decided to leave the company where we worked together, to leave the rat race altogether and go and spend a year with a non-profit in Thailand. It was then that the L series lens' legendary weight and expense came into play. He didn't want to risk this beautiful lens by throwing it around in a rucksack. I pointed Garry in the direction of the much more modest Canon 28-105mm f3.5-4.5 (which I also own) and generously offered to look after his expensive glass while he was gone. That was a year ago and Garry is back to claim the more expensive lens. The L-series lens is undeniably good and I loved having it available to use for a year; thanks Garry! It produces beautiful images but I'm not sure I will miss it that much. Perhaps it is because it wasn't my lens and I wanted to return it in just as good condition as when I became its steward, so I didn't take it out of the house that much. It is a great portrait lens but for a walkabout lens it lacks a bit of the reach I need for my typical shooting style. Looking at the pixels 1-to-1 you can see a difference but who looks at your pictures that close, in that much detail? So tonight Garry comes by to pick up his baby. I will miss the respect that red stripe demands from other photographers when I out and, if I had L-series funds I, would have replaced it with the 24-105mm f4L IS . 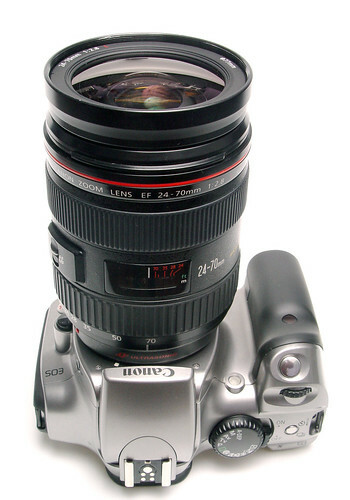 But I don't so I've replaced it with the 28-135mm f3.5-5.6 IS which I picked up used from CraigsList for less than $300. I look forward to putting that lens through its paces on our upcoming road trip. The 28-135 IS is a great walkabout lens; not perfect but good enough ... for now ... I think.